An advanced tool to find broken links on web sites. It begins checking from the starting page and goes through all pages one by one until it checks all pages on the site. 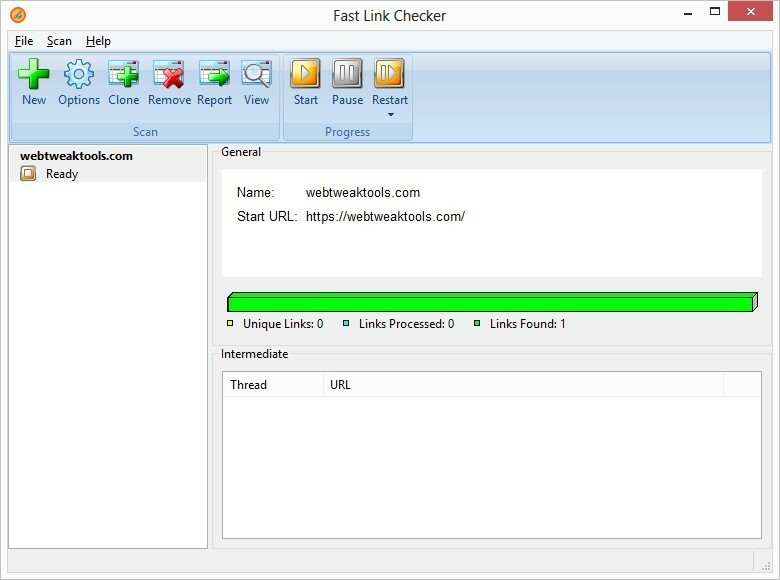 Fast Link Checker is a tool used for searching sites for broken links. It begins checking from the starting page and goes through all pages one by one until it checks all pages on the site. If Fast Link Checker finds a broken link, it shows its position in the document, the cause why it does not work and a hint how it can be fixed. Fast Link Checker can check links to all pages both on current and external sites, the availability of documents, images, scripts, style sheets and other objects linked to pages. It can check links on the entire site, on one of its pages or in one directory. Fast Link Checker includes a feature-rich web site crawler, which supports different user authentication types such as SSL certificate and form login. To achieve highest performance Fast Link Checker uses a unique multi-threaded algorithm, which allows checking several pages at a time. This algorithm minimizes checking time and scanning a large site becomes faster. When the scanning process is complete, you can view scanning results and generate reports. In the viewer window you can explore all found broken links on your web site and view detailed information on each link. You can generate a variety of report types, including html, xml, Excel and text formats. Try Fast Link Checker for free today! System Requirements: A computer running under Microsoft Windows XP/Vista/7/8/10 and connected to the Internet.